Our licensed stylists offer a variety of hair services, including cuts, hairstyling, and permanent hair coloring. We go above and beyond to put a smile on your face with a style you absolutely love. Not only do we want your hair to look good, we also want to ensure it's healthy. 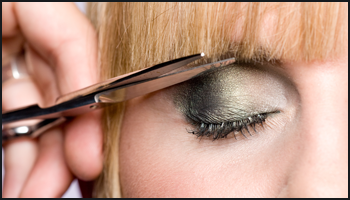 We offer a variety of services, including keratin treatments and deep conditioning, as well as waxing applications. At Salon Sebastian in Boynton Beach, Florida, we offer exceptional hair salon services, for ladies, men, and children, including haircuts, styling, hair treatments, and coloring. Our licensed hair and beauty specialists are talented artists who consider your vision for your hair as our top priority. We understand that each of our clients have their own individual preferences, and we strive to fulfill your expectations with the highest quality services. Dedicated to great service and affordable value, all of our stylists are passionate about what we do. Our commitment to our customers shows in the smiles and repeat business of our clients. We give everyone who walks through our door individual attention and exceptional advice and recommendations. If you are looking for a change and want to try something new, come see us. We'll work together to give you a look you love to wear with confidence. Tuesday and Saturday: 9:00 a.m. - 5:00 p.m.